As a Washington, DC electrician for more than 20 years, we, at Wilcox Electric, are here to serve you. Our team works hard to ensure that you receive complete electrical services in a timely, professional manner, from Capitol Hill to Hyattsville and beyond. Since our founding in 1989, our successful stream of work has been driven largely by customer recommendations. As a result, our company has evolved from a home-based business to a full service electrical contracting business with 18 employees. Steve Wilcox, the owner and master electrician, has over 30 years of electrical and subcontracting experience. He is committed to running an honest, competent, and professional business. Mr. Wilcox, our electricians, and our electrical helpers drive the company forward by providing the highest quality of electrical services to you, our customer. Tracy Wilcox, vice president in charge of financial operations, has a master’s degree from Johns Hopkins University. She and her staff ensure timely delivery of products and services by our electricians. Please feel free to contact either Steve or Tracy via the contact form here, to discuss how we can provide you with the highest quality of service. We value each and every customer. We strongly believe that detailed communications with our clients is essential, and we welcome any questions or comments that you may have. 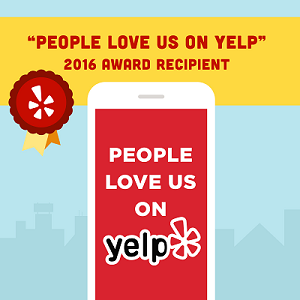 We continually strive to improve our service for you! Large or small, new or existing project (residential, commercial or government); if you are seeking general electrical upgrades or repairs, our goal is to provide you with the most cost-effective solution. Wilcox Electric is a member of the Independent Electrical Contractors Association (a national, trade association).